A few months into my pregnancy, I showed you guys how to make a car seat carrier to save some money and get crafty. Now that our little one is here, we have used that car seat cover maybe twice. It just kinda hangs out in the trunk because it only serves that purpose. While I love saving money, I also love minimalism and multi-functional products that will be purposeful in our lives. This month I opened Anchors and Planes up to collaborations that will be shared through the holiday season to serve you mommas some great gift ideas (and things to get for yourself!) I was so excited to try my first Covered Goods product today during our day date to Caffeine Coffee in the bay. As a scarf – Tampa decided to bless us with a humid-free days lately, which means I get to dress in “normal clothes.” No tanks, shorts, and flipflops for this beautiful day! Today I got to wear comfortable maternity leggings from Target, a postpartum tank top, chambray cover-up, and my Covered Goods item along with my trusty white converse. The scarf was light enough to not be sweating, but will also be the first to grab when traveling during these colder months. As a car seat cover – Again, these are made with extremely breathe-able fabric and was perfect for keeping Anakin covered without having to bring his entire stroller out just to grab coffee. It gave us peace knowing his nap wouldn’t be disturbed by harsh lighting, and his immune system wouldn’t have to battle a stranger poking their heads in to see a baby! The stretchy fabric made it easy to peak in without a sound, and also fell just right, not touching him when let go. You can also use this Covered Goods cover as a breastfeeding cover and shopping cart cover. While I am not afraid to to feed my baby in public, it will be nice to keep in my diaper bag in case of feeling like someone is looking at us inappropriately or making rude comments (even though we, as breastfeeding mommas, are protected by law to feed our children in public). He is too small to use as a cart cover, but until then, we can keep covering his car seat! We also found out it makes for a great blanket, or in our case, blanket cover from spit-up! Use “ANCHORSANDPLANES” at checkout to receive $5 off your order at Covered Goods! * This post contains affiliated links. 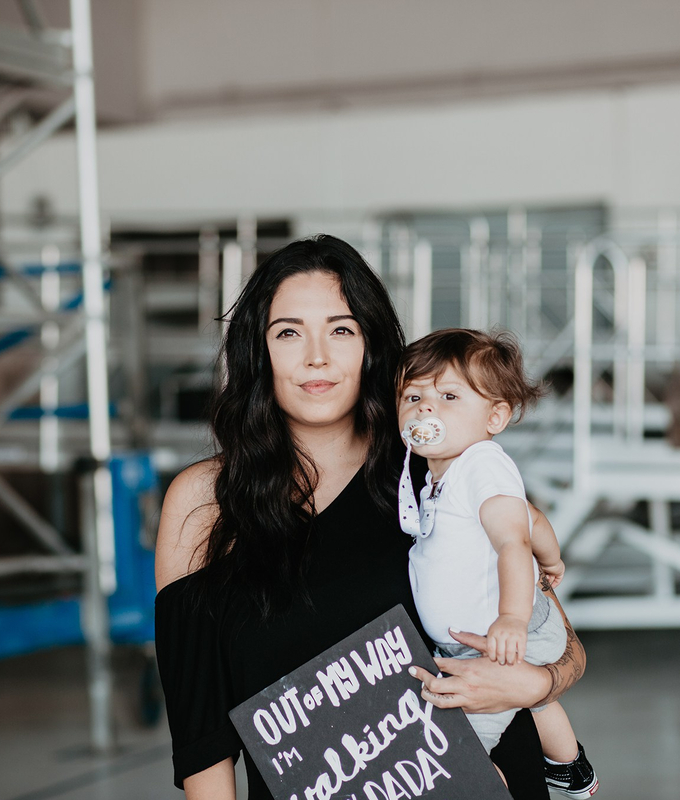 By shopping through Anchors and Planes, you are supporting a new mom, military family, and the continuation of this blog!